5676 Beach Avenue, across from the Community Center. The washrooms are open at 7:00 a.m. and lock automatically at 10 pm. The washrooms are open at 7:00 a.m. and lock automatically at 7 pm. 5890 Beach Avenue, next to the Museum and across from Heritage Park. The washrooms are open at 7:00 a.m and lock automatically at 7 pm. During the summer the washrooms will lock automatically at 9 pm. The washrooms are open at 8:00 am to 4 pm during facility hours. 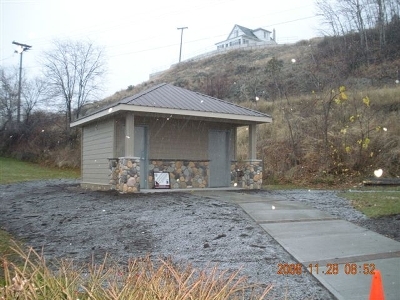 located at Hwy 97 and Clements Cres - in Lambly Park.